NATO Secretary General Jens Stoltenberg Monday condemned the sharp escalation of violence along the ceasefire line in eastern Ukraine by the Russia-backed separatists and called on Russia to stop supporting them. In his statement after an extraordinary meeting of the NATO-Ukraine Commission this afternoon, he said thirty civilians were killed and around a hundred were injured in the recent attack launched on residential areas of Mariupol. “Such indiscriminate attacks are unjustified and unacceptable. 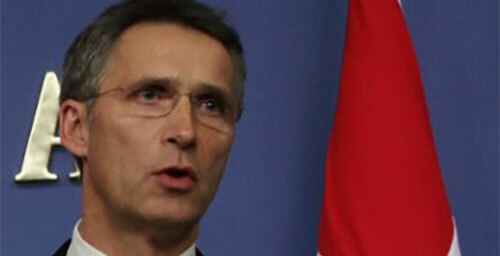 The aggressive actions and provocative statements of the separatists are in direct contradiction with the Minsk agreements,” said the NATO chief. “We call on Russia to stop its support for the separatists immediately, to stop destabilising Ukraine and to respect its international commitments. We urge all parties to continue all efforts without delay to achieve a peaceful solution, in full conformity with the Minsk agreements,” he added.